Door Access systems provide the means to be able to control visitors to your premises through the convenience of your telephone system. The range of options cater for both Visitor and Staff Access and also offers the ability to view visitors via your Internal PC network. Communicate with visitors - to your premises via any handset on your telephone system. Open the door - release via the telephone keypad. Transfer the visitor call - to any other handset. Day / Night Mode. - The systems allow the user to manually program the system to call different extensions at different times of the day. Staff Access - is possible via 4 x 4 digit access codes. Robust design. 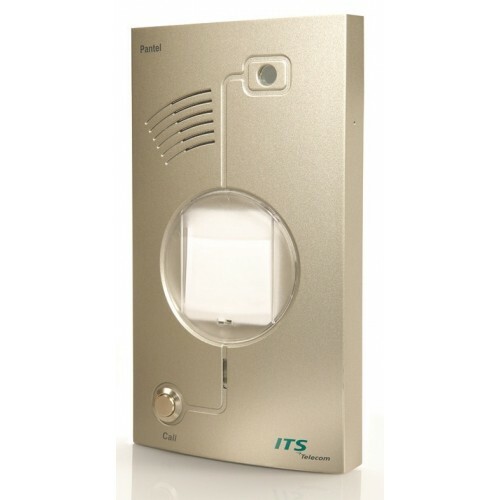 - The units use touch sensitive buttons and are vandal resistant. Location. - The units are designed for both internal and external applications. User programmable - through touch tone DTMF dialling on the telephone system. Password protection. - Access to the unit programming is via a 4 digit code. Video Option - allows visitors to be viewed via an Internal pin hole colour camera. Viewed on a Network PC. - Visitors can be viewed on any PC with the optional video interface and software. Direct Dial of extensions. - If programmed, the Staff access keypad can also direct dial any other extension on the telephone system. Speed Dial. - The keypad can be programmed to offer up to 8 speed dials + 1 access code. Surface Mount Version. - The unit is easy to install on brick or metal surfaces.